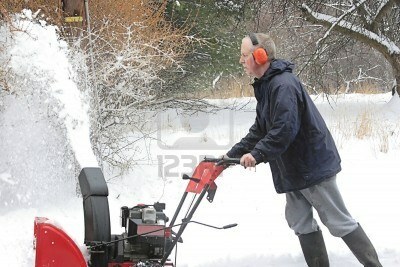 “The snow blower” is a short story that I wrote and submitted to the Ploughshares Emerging Writer’s Contest 2012. Yesterday the winners and runner ups were announced to the submitting authors. My story did not receive a place in this contest. It was, however, an extraordinary experience for me to participate in this contest and I look very much forward to reading the winning entries in the Winter issue of the Ploughshares Literary Magazine. Meanwhile I hope to receive some feedback from other writers and/or readers on my story. I have posted my short story, which is just short of 4 000 words on Fictionaut and it can be read here. If you are not a member of Fictionaut, please be so kind as to leave your comment here (below this blog post). I would appreciate any feedback from the bottom of my heart. I have read my story again and see things wrong with it, but I am blinded by my own subjectivity, and at the same time I am afraid to ruin it. Criticism is therefore most welcome! in and out of zero. Copyright © Quirina Roode-Gutzmer 2012. All rights reserved. The polar winds have brought us a taste of the Siberian tundra. The snow glistens and glitters on the rolling Saxon hills, looking like dunes in the desert. We move across one of the fields, the smallest two children being pulled on the sleigh and the oldest child learning to cross-country ski for the first time. Every now and then he lies in the snow with his legs and skis crossed. There is a happy din in the silent snow. We, the parents, trudge through the thick snow. The sun bathes us in its golden light and warms us, even threatens to burn us. The sky is blue and the landscape is picturesque all the way to the distant horizon in Bohemia. To play in a morsel of Siberia, together, to us a mirthful moment, but it is not enjoyed without considering the hardship of those who live and toil in the real Siberia. The grass is greener on the udder side.